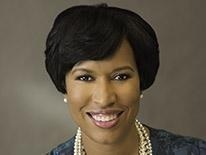 (WASHINGTON, DC) – (RealEstateRama) — On Monday, September 24, at 11 am, Mayor Bowser will kick off #RootstoRoofs Housing Week by unveiling two tiny homes in the Deanwood neighborhood in Ward 7. This demonstration showcases how tiny house living can fit into the District of Columbia residential landscape. This project is part of Mayor Bowser’s five-point Vacant to Vibrant DC initiative, where vacant spaces are being transformed into productive solutions, such as affordable housing and green space. Mayor Bowser has declared September 24 – October 1 as #RootstoRoofs Housing Week with a series of events highlighting her Administration’s progress in creating and preserving affordable housing options across the District. The variety of options showcases the Mayor’s commitment to providing all Washingtonians a fair shot and a pathway to the middle class. Mayor Bowser will also make announcements about Fiscal Year 2018 investments and accomplishments in affordable housing. Monday Sept. 24, 11 am: Envision Tiny House Living, DC Style: An unveiling of a tiny home demonstration project, in partnership with the DC Students Construction Trades Foundation and students in the Academy of Construction and Design at IDEA Public Charter School. Tuesday Sept. 25, 12 pm: Ceremonial groundbreaking of Capitol Vista, a multifamily apartment development in Ward 6 with 104 affordable units and ground floor retail. Wednesday Sept. 26, 11 am: Ribbon-cutting ceremony for the Short-Term Family Housing program in Ward 4. Wednesday Sept. 26, 5 pm: A special reception by the Department of Housing and Community Development at the Anacostia Arts Center, celebrating 40 Years of the Home Purchase Assistance Program (HPAP). Thursday Sept. 27, 11 am. : Groundbreaking ceremony of Cynthia Townhomes with the Deputy Mayor for Planning and Economic Development, 15 new townhouse community in Marshall Heights in Ward 7 priced for buyers earning up to 120% AMI and a development from DCHFA’s Housing Investment Platform. Friday Sept. 28, 11 am: Elvans Road Townhomes, Welcome Home Visits by the Deputy Mayor for Planning and Economic Development with residents of Elvans Road Townhomes, the first development from DCHFA’s Housing Investment Platform. Monday, October 1, 12 pm: Groundbreaking of Delta Towers, an apartment development in Ward 5 with 179 affordable units for seniors and ground floor retail. Press interested in attending the event are asked to RSVP to "> . To view the event online, visit mayor.dc.gov/live or tune in on Channel 16 (DCN).